ONE OWNER!! - M-SPORT!! - TECH!! - DRIVER ASSIST!! - COLD WEATHER PACK!! This BMW includes: COLD WEATHER PACKAGE Heated Steering Wheel Heated Front Seat(s) HEATED FRONT SEATS Heated Front Seat(s) M SPORT PACKAGE Tires - Front Performance Aluminum Wheels Leather Steering Wheel Tires - Rear Performance TECHNOLOGY PACKAGE Navigation System Heads-Up Display Hard Disk Drive Media Storage MP3 Player DRIVER ASSISTANCE PACKAGE Rear Parking Aid Back-Up Camera NAVIGATION SYSTEM Navigation System Hard Disk Drive Media Storage MP3 Player ALPINE WHITE BLACK, DAKOTA LEATHER UPHOLSTERY Leather Seats *Note - For third party subscriptions or services, please contact the dealer for more information. * This vehicle is loaded with great features, plus it comes with the CARFAX BuyBack Guarantee. This vehicle has passed our highest inspection standards and is therefore awarded a Certified status. 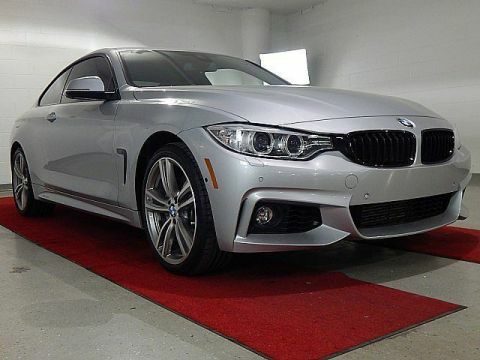 For those who are ready to drive something more than just a car, this BMW 435i xDrive - M-SPORT!! - TECH!! - DRIVER ASSIST!! - COLD WEATHER PACK!! will appeal to their idea of luxury and refinement. 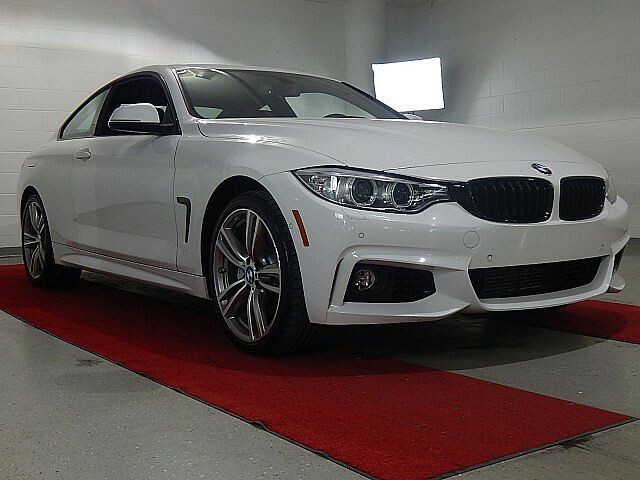 Savor the satisfaction of safety in any condition with this AWD BMW 435i xDrive. 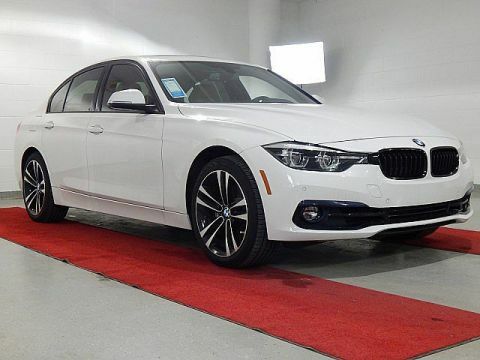 Superior acceleration, unmatched traction and stability as well as a luxurious interior round out the impressive features of this AWD BMW 435i xDrive. You can tell this 2016 BMW 435i xDrive has been pampered by the fact that it has less than 34,397mi and appears with a showroom shine. 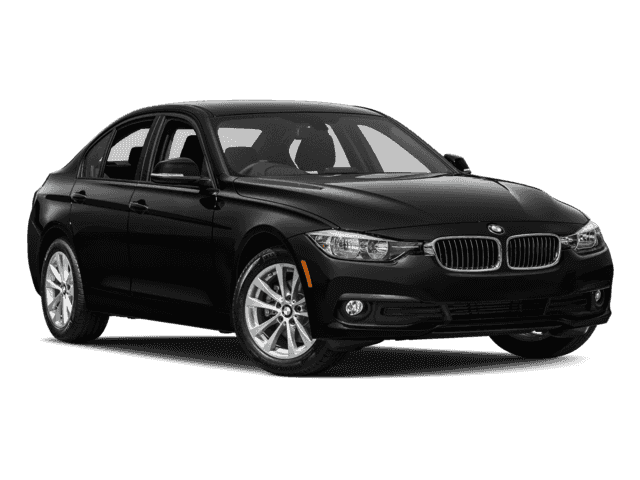 Added comfort with contemporary style is the leather interior to heighten the quality and craftsmanship for the BMW 435i xDrive This vehicle comes with a navigation system. That doesn't mean you won't get lost. But it does mean you won't stay lost. More information about the 2016 BMW 435i xDrive: The BMW 4-series is a stylish car that offers most of the performance and styling of a sports car without compromising too much comfort or practicality. It features sleek, low styling and is available in a few different body styles, including as a convertible. Performance is brisk, but ride and comfort have been carefully balanced to provide a driving experience that is both entertaining and somewhat luxurious. 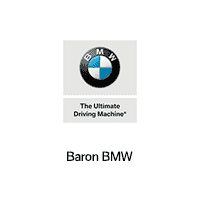 The BMW 4-series competes with sedans and coupes such as the Audi A5, the Mercedes Benz C-Class and the Lexus IS. Prices start at just over $40,000. Starting at around $65,000, the top of the line M4 offers blistering performance and razor-sharp handling but in a practical coupe package. Power output from the turbocharged 6-cylinder engine is impressive, but the smaller engine displacement means fuel economy is still decent at around 20 mpg combined EPA. The M4 is available in both coupe and convertible form. Strengths of this model include M4's unmatched performance and Stylish body, great handling, sporty and powerful engines, usable back seats, variety of body styles, available all-wheel drive We look forward to seeing you soon! Please call us for more information.